Missing Medicare Enrollment Deadline Will Result in Penalties — More Than Your Money Inc.
Medicare is a federal health insurance program for individuals over 65 and for those under 65 with certain disabilities and diseases. There are four parts of Medicare; part A is hospital insurance, part B is medical insurance, part C is Medicare Advantage and part D is prescription drug coverage. Medicare Part A and B only covers about 50% of your medical expenses so you probably need Medicare Part D along with a Medicare Supplement policy or Medicare Advantage. Medicare Advantage is private insurance approved by Medicare that provides coverage similar to Medicare Part A and Part B and may include prescription drug coverage, vision, dental and hearing benefits. Most Medicare Advantage policies limit your total out of pocket expenses and can be cost effective if you don’t have frequent medical needs. If you are receiving Social Security, Railroad Retirement Board benefits, or have received disability benefits for 25 consecutive months, you will automatically be enrolled in Medicare Part A and Part B and coverage will begin when you turn 65. Otherwise you will need to enroll in Medicare Part A and Part B or Medicare Advantage. Your initial enrollment period starts during the 7-month period that begins three months before you turn 65 and ends 3 months after you turn 65. Generally, there is no premium required for Medicare Part A if you or your spouse worked at least 10 years or 40 quarters while paying Medicare taxes. But, everyone who enrolls in Medicare Part B pays a premium.Medicare Part B premiums vary with income and the average monthly premium for 2018 will be around $130. If you are 65 and have employer provided health insurance, you should enroll in Medicare Part A, but you don’t need to enroll in Part B. When your employment or health insurance coverage ends you will have 8 months to enroll through a special enrollment. COBRA, retiree coverage, VA coverage and individual coverage do not qualify as employer provided health insurance. If you miss your initial enrollment period for Medicare Part B there is a 10% increase in premiums for each full 12-month period that you could have been on Part B. 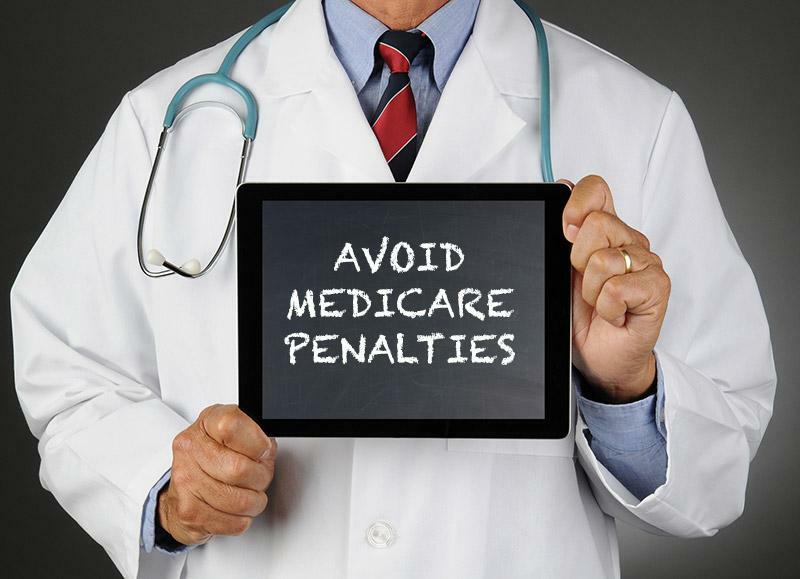 This penalty continues every year you have Part B coverage.If you are on TRICARE, and are not active duty, you must enroll in Medicare Part A and Part B when first eligible to maintain your TRICARE coverage. Those on active duty do not have to enroll in Part B. A late enrollment penalty can also be added to your Medicare Part D premium if you go for any continuous 63-day period without credible prescription coverage, after your initial enrollment period. The penalty is calculated by multiplying 1% of the “national base beneficiary premium” ($35.02 in 2018) times the number of full uncovered months you didn’t have Part D coverage or other credible coverage.